Is tinted self-tan gel right for me? Yes, if you want to have a visible and controlled application for an even, natural looking tan. The naturally derived self-tanning agent gives your skin a uniform golden tan. 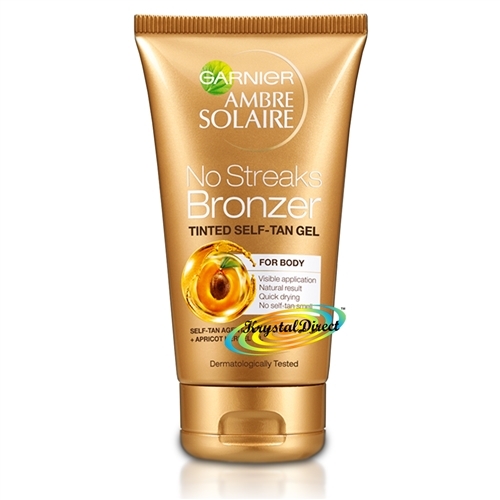 The formula enriched with apricot kernel oil, helps nourish the feel of your skin for a longer lasting tan. The fresh tinted gel texture helps to guide you through application.